Dress for the weather! Students are allowed to wear their gym clothes to school. It is advisable to have extra layers and be prepared for rain/cooler temperatures. In Math, we will continue to explore the relationship between fractions and decimals. The students will be comparing and ordering, adding and subtracting decimals, working with fractions and mixed numbers, and finding lowest common denominators. The Grade 4 students are making their own ceramic planters in art class over the next weeks. Once complete, we will be planting some seeds and watching a variety of herbs and vegetables grow in the cafeteria windows. Next week, we will begin our next writing form - persuasive writing! The students will learn how to use both fact and opinion to prove their point and convince their readers to take action! After some practice, the students will use their written voices to persuade one another to take action to lessen our human impact on the natural environment. In Unit, we will continue to inquire into how human interactions impact the natural resources and all living things in a habitat. 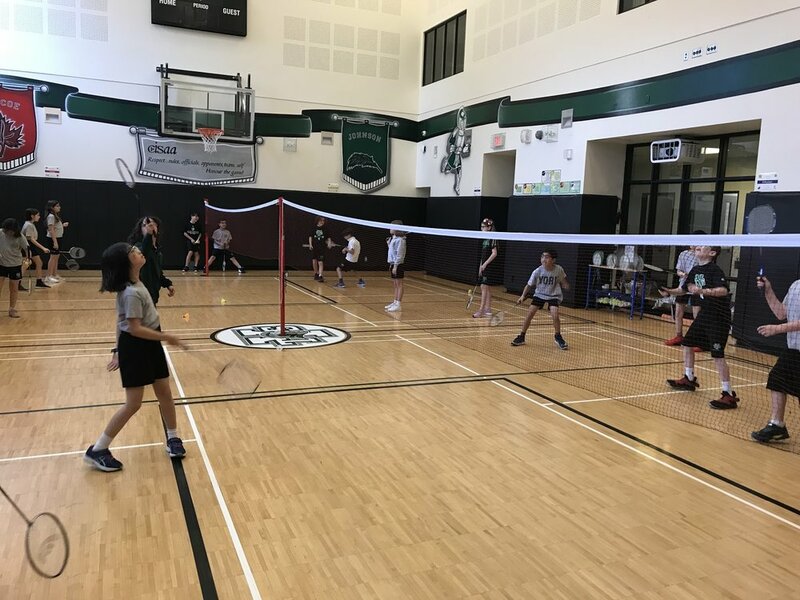 In PHE, we have wrapped up our Badminton unit. All students showed a growth mindset when learning new skills and showed great sportsmanship. When students return from the break, we will begin a brief dance unit with Miss Megan, a dance instructor. Students will explore movement patterns and learn a choreographed dance. In Music, we are analysing songs from different decades and discovering how the elements of music are similar or different. Students are creating a musical profile to illustrate the different genres, artists they enjoy listening to. The musical profile will also include music skills which are strengths. In French, students were happy to start their new play “Chat Angora.” They learned new vocabulary and were able to explore the new AIM Portal. Students are now able to access the AIM Portal for “Chat Angora” at home and are encouraged to login for at least 10 mins a day. Students selected their parts and next week their characters for the play will be announced. For the AIM Portal, the login information is the same as before. User name: first initial, complete last name and the last two digits of the graduation year.